Prince speaks during a news conference on Tuesday, Dec. 13, 2005, in Beverly Hills, Calif.
A Minnesota judge appointed a corporate trust company on Wednesday to temporarily oversee Prince's multimillion-dollar estate, saying the emergency appointment was necessary because the superstar musician doesn't appear to have a will and immediate decisions must be made about his business interests. Judge Kevin Eide granted a request from Prince's sister to appoint Bremer Trust as special administrator, giving the company authority to manage and supervise Prince's assets and identify his heirs. Eide said Prince had no appointed personal representative but had substantial assets and owned businesses that require immediate attention and ongoing management. The judge also noted that identities and addresses of Prince's heirs need to be determined. Prince's only full sibling, Tyka Nelson, requested the move Tuesday, telling the court she believed her brother didn't have a will. Prince also has five surviving half-siblings who could share in the estate. 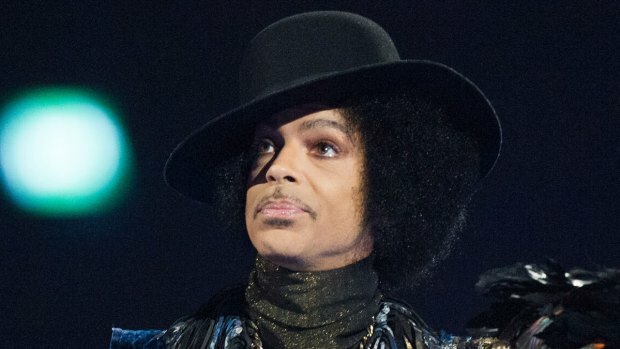 Eide wrote that Prince died "intestate," meaning he did not have a valid will, and said there was no pending application or petition for probate of a will in any court. However, someone could still come forward with a will or trust document, which happened after Michael Jackson died in June 2009. Jackson's longtime lawyer John Branca filed a will six days after his death, upending moves by Jackson's mother to become his estate's executor based on her assumption there wasn't a will. "Tonight Show" host Jimmy Fallon celebrates the life and music of Prince by sharing a memorable story of when the Purple One randomly challenged him to a game of ping-pong. For now, Bremer Trust will act as special administrator for six months or until a personal representative is appointed, whichever is less. Later Wednesday, the estate already had its first claim against it, with a filing from a California man who claimed that Prince had transferred ownership of his music catalog to him in 1995. Prince, 57, died last week at Paisley Park, his famous home and recording studio complex in suburban Minneapolis. His cause of death hasn't been released. An autopsy was conducted Friday, but results aren't expected to be released for weeks. The value of his estate isn't known. Prince made hundreds of millions of dollars for record companies, concert venues and others, and the outpouring of grief and nostalgia after his death prompted fans to buy 2.3 million of his songs in just three days. Prince also owned a dozen properties in Minnesota, most of it undeveloped land and some houses for relatives, worth about $27 million, according to public records. He also sold more than 100 million albums, and concert industry magazine Pollstar reported that in the years Prince's tours topped the charts — 10 years over four decades performing — they raked in $225 million in ticket sales. But it's not clear how much money Prince had when he died, given that he had to pay record labels and staff and cover other expenses. On Wednesday, Eide said Bremer Trust was in the best position to handle Prince's estate. The judge noted that its affiliate, Bremer Bank, had worked with Prince and has knowledge of his personal and business finances. The judge said Nelson and one of Prince's half-brothers, Omarr Baker, were part of the telephone conference that prompted his decision Wednesday. The judge said no one objected to appointing a special administrator. Under Minnesota law, if a person dies without a will — and with no surviving parents, children, or grandchildren — the next people in line to share in the estate are the surviving siblings, including half-siblings. Prince wasn't married and had no known living children.